Yanicka, those little pincushions are beautiful! What a fun way to do the hexies! Very fun and FUNctional too! 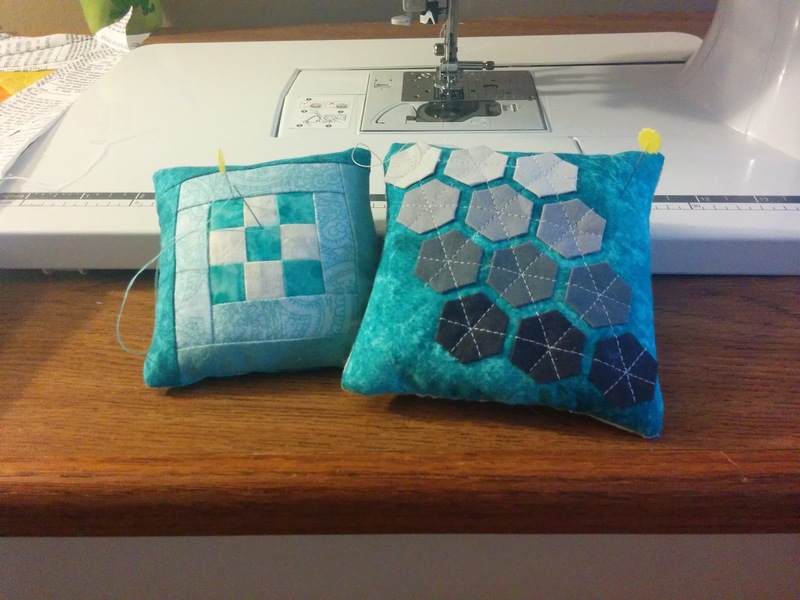 The hexie one is 'sew' darn cute!! What a fun!! Love yur oincushons. Great job!! Love what you have done with those hexies ! What cute little pincushions. Thanks for sharing with TGIFF! Your pincushions are adorable. Great job.